Jordan Yasuein, graduate of the Class of 2012, comes back in the ring to Hollywood High for another round of his healthy fitness classes. The classes are held on Mondays, Wednesdays, and Fridays during lunch. Monday is Abs and Core; Wednesday is Boxing, and Friday is Hip Hop/ Yoga. These classes are free, and they take place in Ms. Thompson’s dance room. The classes, which combine physical fitness with fun, are designed to get students motivated to actually want to work out- a far cry from your standard physical education class. 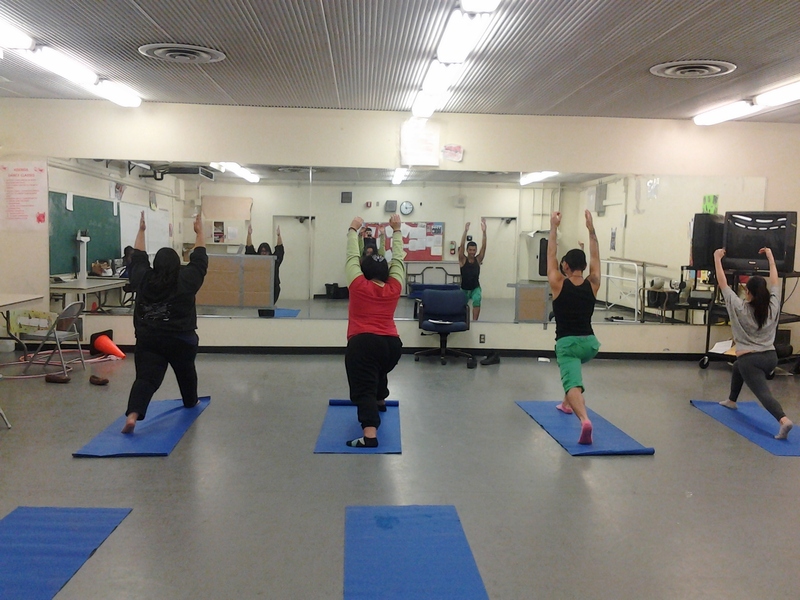 “PE is more a requirement while fitness is more of a hobby or stress reliever,” Yasuein said. “We get a gift for hard work? Both a boy and girl get a gift once a month because they take time off from their friends and lunch with a face saying ‘I need help, I want to change myself’, I believe in hard work results. So thats why I want to give them a gift,” said Yasuein.